Somehow in all her long letters to Charles Mahaffie, Isabel Cooper failed to mention the presence of not one, but two men on the Arcturus Expedition who were obsessed with pirates. Don Dickerman and Dwight Franklin were pirate-obsessed. And along for part of the journey was David Putnam, 12-year-old son of the publisher George Palmer Putnam. David joined the grown men in reveling in the world of pirates. 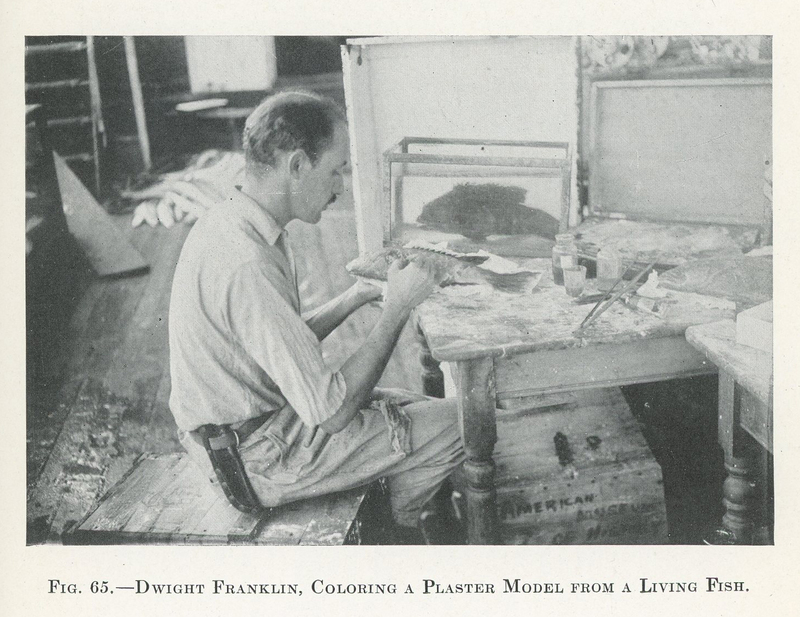 Dickerman was a painter and illustrator, and Franklin an expert at modeling and sculpting. They were surely valuable to Beebe’s work, and likely went as proper paid staff on the Arcturus, but from their histories, it seems either would have leapt aboard the Arcturus on the first word that the ship would visit Cocos Island, a famed Pacific Ocean treasure island. Dickerman was an artist, but more so a Greenwich Village personality. He gained multiple wry mentions in the gossip pages of The Quill, which tracked and spoofed, and celebrated the characters of the Village in the late 1910s. He joined the Arcturus Expedition as an artist, but seems to have distinguished himself there too as a personality and adventurer, celebrating David Putnam’s 13th birthday with a pirate-themed costume party and a special pirate song. 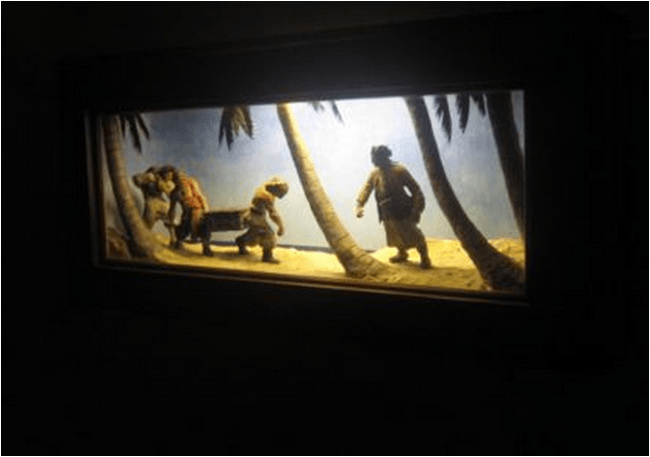 Franklin was on the expedition to make plaster models of specimens. But he joined in the pirate fun. He had begun his career with the American Museum of Natural History, as a taxidermist. 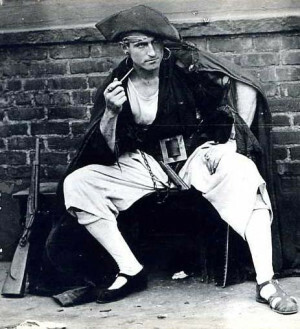 He later consulted on Hollywood movies and designed sets, including for Douglas Fairbanks’ The Black Pirate (1926). His work also included museum exhibit design, costume design, and theater set work. 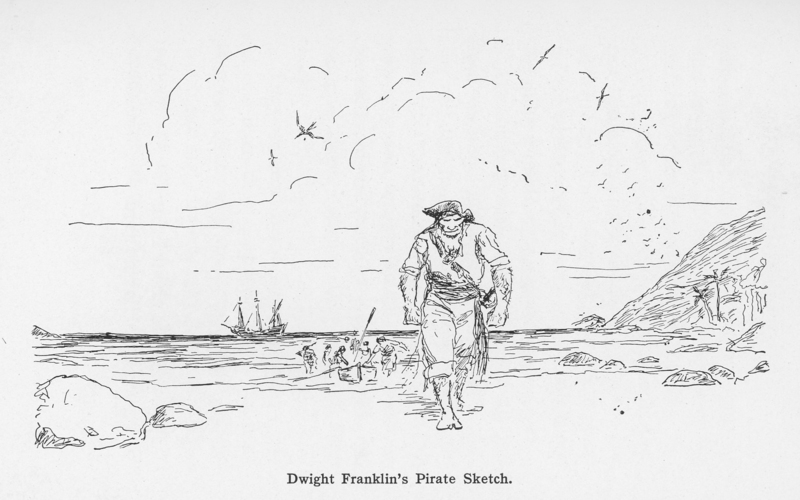 Franklin drew a pirate scene for David Putnam’s birthday and it became one of the pictures in the boy’s book, David Goes Voyaging, which also had “decorations” by Isabel Cooper and Don Dickerman. 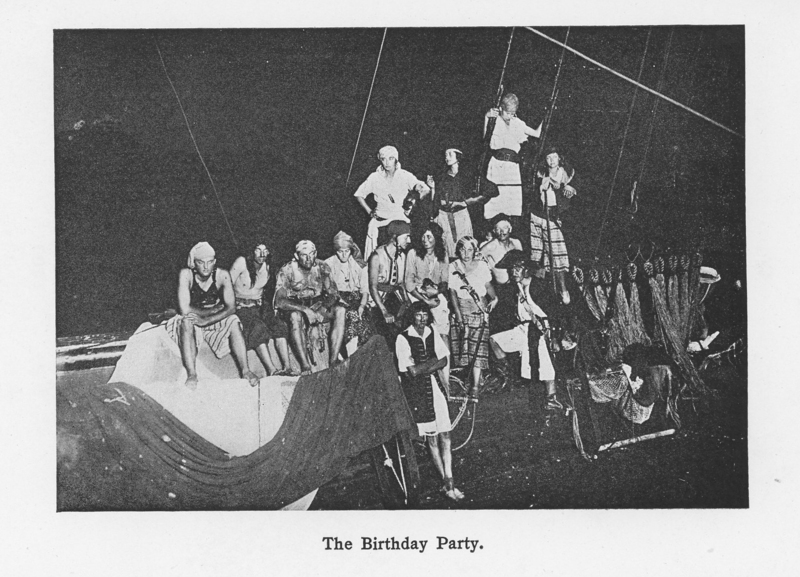 After the Arcturus Expedition the two men, in the Fall of 1925, joined in throwing a pirate-themed costume ball.vii Among the other named hosts, with the men each listed as “Captain,” were “Capt. and Mrs. George Putnam,” the Normal Rockwells, and the muralist Ezra Winter whom Isabel Cooper soon began to work for. iii David Putnam, David Goes Voyaging. iv David Putnam, David Goes Voyaging, pp. 100-101.
v William Beebe, The Arcturus Adventure. vi “The Gossip Shop,” The Bookman, December 1921, Vol. 54, p. 415.
vii Advertisement, Columbia Spectator, November 23, 1925.
viii Letter, IC to CDM, November 25, 1925.
ix Letter, CDM to IC, July 21, 1926.